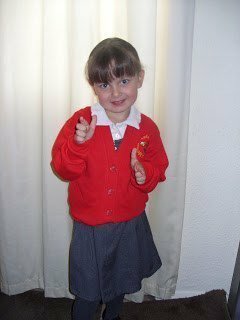 My baby girl is growing up so fast, yesterday was her first day in Reception class. Luckily she attended the pre-school nursery there so it wasn’t a big shock for her. 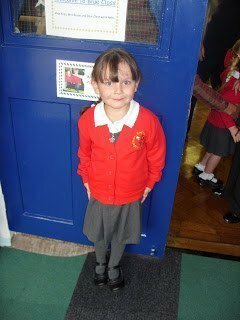 In fact she has been looking forward to moving up to Blue class for a while. 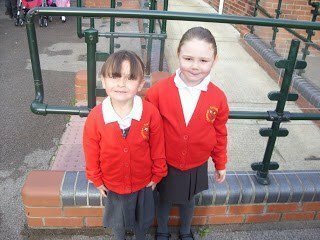 Thankfully the pre-school teachers had some say in which children went in which class (two classes per year) and they put Roo and her best friend in the same class. Some lovely pics – She looks very keen. Hope she enjoyed it. Thanks for joining the Starting School Blog Hop on 92three30. How cuuuute do they look in their uniforms!